J.E. 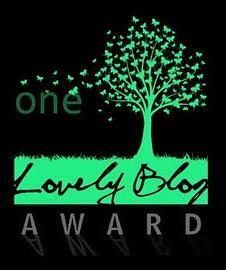 Lattimer, creator of Mysteries of the Wasteland, nominated me for the One Lovely Blog Award! Thank you so much, Josh! Thanks so much to J.E. Lattimer who creates THREE wonderful blogs: Arcane Arrangements, Mysteries of the Wasteland and Fictional Machines. He’s incredibly creative and talented! 6. Tattoos terrify me. Apparently, they REALLY hurt on alien skin! Thanks again to J.E. Lattimer for the nomination and for creating extraordinary work. And a big thanks to everyone who reads my blog. You might think I’m crazy, but I love that you keep coming back for more! Posted by Ripley Connor on August 1, 2012 in Blogging and tagged J.E. Lattimer, One Lovely Blog Award, Reese Witherspoon. Thanks so much! And thanks for the lead. I will look into it! Thanks to you as well! 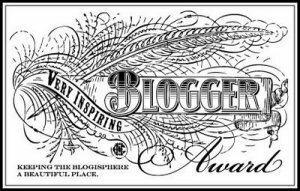 And for your nomination of my blog! Yeah, I don’t really consider myself lovely either! But it’s still cool. Fabulous is good. But I think I’m more fashionable than anything else! Thanks! And continued success to you! Congratulations to you ! Thank you for nominating me. I’m not going to follow the rules because when I launched my blog I decided it would be a fashion guide (I’m a professional documentalist) and not a blog about myself but I want you to know that I’m really grateful you thought of me. That touches me because your blog is truly amazing and different. Thanks for your encouragements ! Thanks so much. And I really love your blog– you give me great ideas of fun fashion and designers. So glad you like my blog. It’s definitely fun! Thank you Ripley! I hate nail polish fumes too!